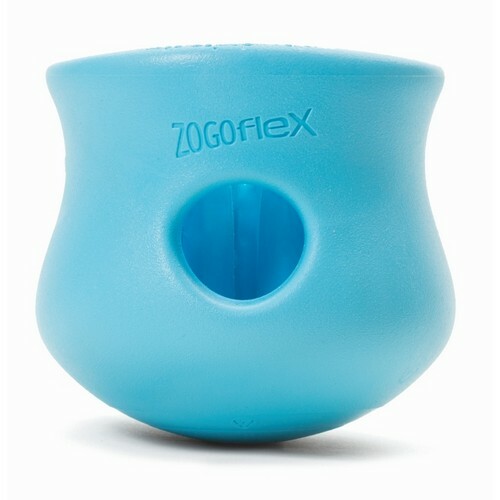 The Zogoflex Toppl Large resilient, rounded exterior provides bouncy, wobbly fun, while soft interior shapes hold kibble and treats until nudged and nuzzled out. 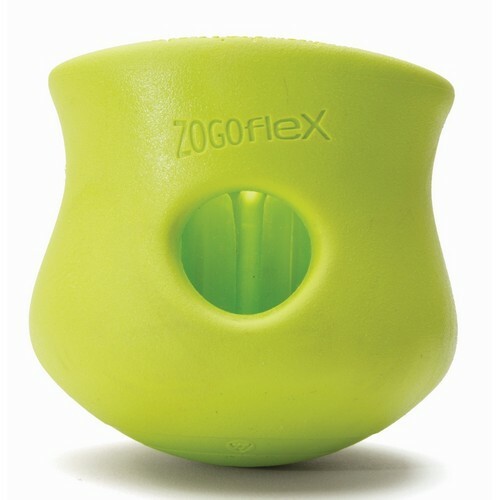 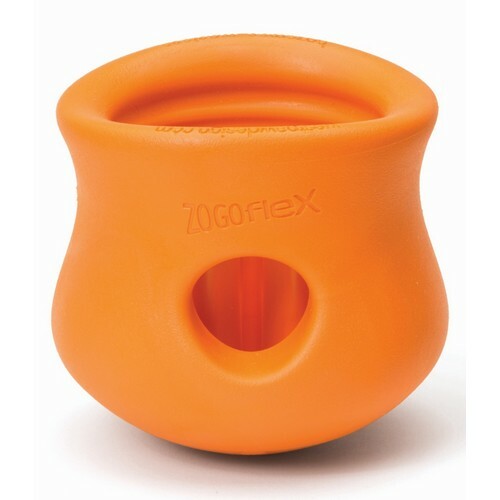 The Zogoflex Toppl Large is gentle on canine jaws, but tough enough to stand up to supervised play and as it can go in the dishwasher, cleaning is quick and easy. 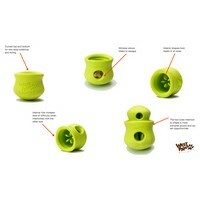 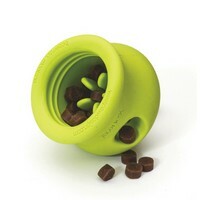 Like all of the Zogoflex dog toys, the Toppl Large is guaranteed. For puzzle-masters, or dogs who just need an extra outlet for excess energy, connect the small and large sizes (sold separately) of Toppl for an even more challenging puzzle.